Ross Stripling – LAN 16 DNP DNP n.a. Steven Wright – BOS 11 DNP DNP n.a. Hector Velazquez – BOS 10 DNP DNP n.a. Framber Valdez – HOU 8 DNP DNP n.a. The playoffs present an uneven environment for predicting (or even projecting) potential pitching performances. First, there’s the “any given day” concern, which holds that in any given day your starting pitcher simply might not have their stuff; this happens regularly throughout a 162-game season, but pitchers typically have anywhere from 10 to 20 to 30 additional starts in which to make adjustments. For example, Blake Snell, the best pitcher in the MLB according to Average Runs Prevented, allowed five runs twice, four runs once, and three runs once; Wade Miley, the Brewers’ best starter by Average Runs Prevented, allowed four runs twice and three runs twice. On those particular days, both of these solid-to-great pitchers were not of great use to their club (the bats would have to pick them up! ), but over 12 additional starts for Miley and 26 additional starts for Snell, adjustments held up. The Brewers have even seen this with Clayton Kershaw, who got hit hard in Game One before adjusting for Game Five of the LCS. Second, the playoffs are an absurdly uneven environment in terms of distributing runs. On average, each team is scoring approximately 3.9 runs per game in the 2018 playoffs thus far, which is notably lower than the regular season environment. So on the whole one might expect that better pitching prevails, even against the best offenses. But this really is not the case; in 26 games, the road team has scored more than four runs 11 times, while the home team has scored more than four runs 9 times. Thus 38 percent of the time a batting team has been better than average, and 12 percent of the time a batting team has been exactly average (four runs scored). Batting teams have been resilient in making adjustments, and the ratio of average or better games leads to questions about the extent to which “pitching wins championships” (if pitching is “better than average” half the time, it’s not clear that that’s the resounding vote in favor of loading up on elite pitching in order to win in the playoffs). Third, regular season runs prevention figures should not be expected to hold up even in that same season’s playoffs, for the playoffs are not a “war against attrition” (as are 162 games). Instead, the playoffs force teams to make roster decisions to typically stick with their very best players for five-to-seven games, disallowing in-series roster moves (with the exception of injuries). This results in extremely uneven roster management, and example of which could be Craig Counsell leaning on three of his elite relievers rather than using his whole group of relief pitchers for much of the playoffs. Finally, it’s worth diving into the particular match-ups that occur in each series. For example, both the Dodgers and Brewers bats have been held “cold” throughout the NLCS, averaging 3.20 Runs Scored per Game each (yes, the NLCS is “tied” at 16 runs apiece). 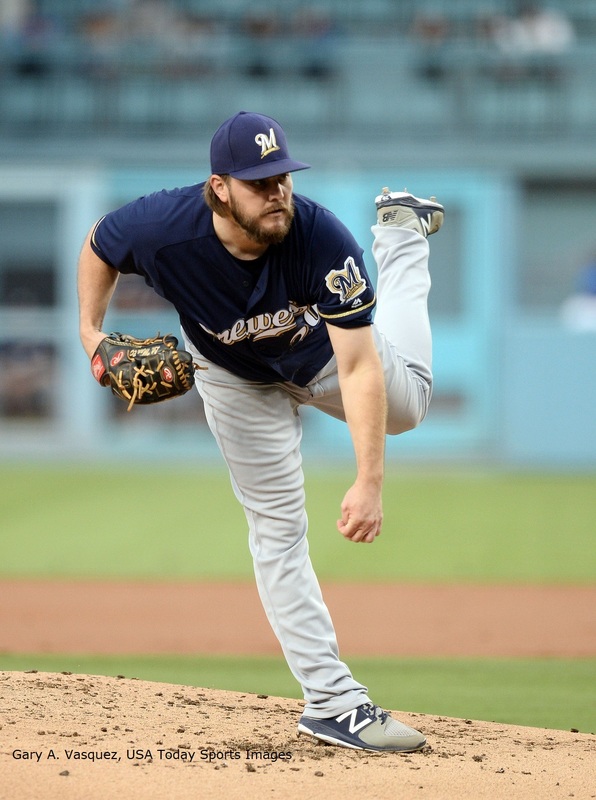 Ironically, the Dodgers ace pitchers have not been as strong as their bullpen throughout the series, whereas it’s been the Brewers starting pitching that has notably out-performed the excellent bullpen. Both of these facts can be analyzed on a match-up by match-up basis given the nature of a short series; one particular relief move truly can neutralize a batter, or backfire. In terms of Houston, their “true ace” rotation was generally crushed by Red Sox bats, which is worth underscoring: the Red Sox had the best offense in the playoffs, the Astros the best pitching, and Boston still managed to score 29 runs over five games (a good total in any environment). I’m not saying this to discourage discussion about aces (yes, everybody likes elite starting pitching), or to suggest that pitching is not important (it is!). I simply wish to emphasize that (a) regular season pitching quality does not categorically translate to playoff pitching quality, (b) you can stress the individual match-ups in a short series where each team is leaning on a very small percentage of their organization, and (c) you should not rely on bumper sticker narratives. Pitching wins championships, except for when hitting does.